Brillko. Racing was invited för some tests at Kjula Raceway. We set for a massive burnout and in third gear @ 8300+ the journey stopped. We broke everything from Rear-end yoke to engine midplate. As a driver the instant stop, raining parts inside my car and something that hit my knee felt bad. I know direct that this would cost some money but not this much! My father was the only one bleeding as he got a part from the drivetrain on his nose. So i guess after all we are a bit lucky in the family. We will come back, And hoping to drive again very soon. I want to give a special thanks to Johanneshovs Plåtslageri AB for the extra support they gave on this incident. We still look for more sponsors to come back. Dont hesitate to send me an email for an open discussion. This was our first outing this year. We had problems during warm-ups with the electronics. Took the Car back home to my garage for fix. Car is running now and We are heading for Malmö next Week. 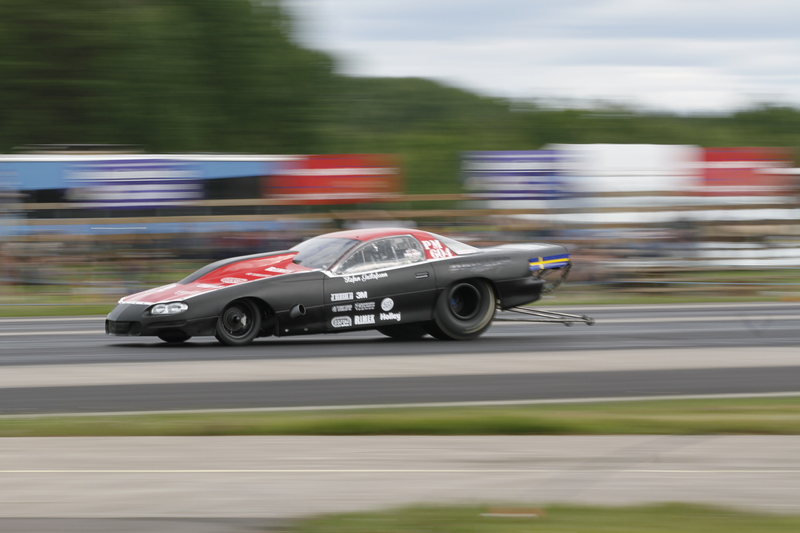 Malmö holds the first race in the Top doorslammer series.